I see Marie Curie in her laboratory! Full of scientific fun, Scientist, Scientist, Who Do You See? 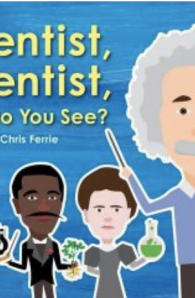 features appearances from real-life scientists including Albert Einstein, Marie Curie, Charles Darwin, Ada Lovelace, and more! 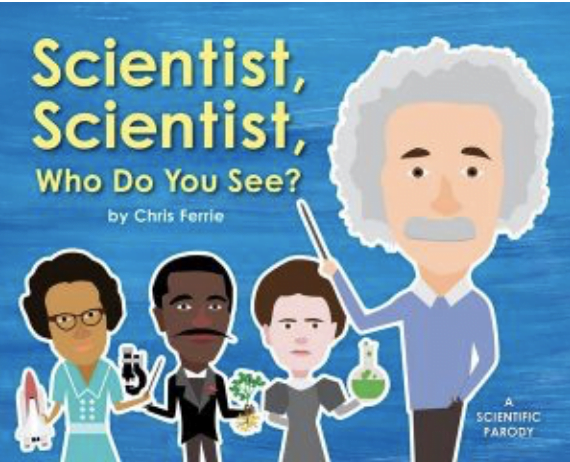 Young readers will delight in poking fun at a familiar text while learning about scientists who changed the world.